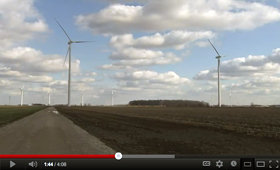 “The wind energy capital of Ohio” is now on the plains of Van Wert County (located about 100 miles southwest of Toledo on the Indiana border), and work by OSU Extension, which is part of our college, helped make it happen. Watch (4:08). Many Ohio State students enjoy the social life that campus-area bars provide. Throughout the weekend, anyone walking down High Street at Ohio State can see a large number of students lining the street, waiting to get into their favorite bar. Due to this large amount of business, these bars ultimately produce a huge amount of waste. This led our group to wonder, how much of this waste is actually being recycled? We interviewed employees at 11 off-campus bars, and found that most do not have a recycling program. Additionally, all of the employees felt that their bars were isolated from the city, the campus, or both. We thought, why not kill two birds with one stone and build community while also cleaning up off-campus bars? To do this, we suggest using student groups along with the university to encourage nearby businesses to utilize the city’s curbside recycling program to its full potential. The university prides itself on its sustainability practices and strives to become an exemplary model of how to interact with the environment. This same level of leadership is not reflected into the surrounding community. Our group suggests implementing an extension of Ohio State’s Green Buckeyes program to include off-campus businesses. 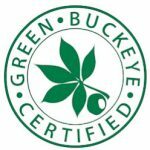 Green Buckeyes is a program within OSU’s Sustainability Office that was created to encourage sustainability in campus offices. We encourage launching such a recycling program with competitions, which will not only help in advertising for the bars, but would also help raise awareness for recycling in general. 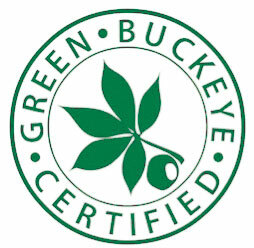 In addition to the competitions, bars would also receive Green Buckeye insignias that they can use to show that they care about the environment and are part of the recycling program. “Clean energy will define our future. … Public and land-grant universities will define clean energy.” So says the website for a national conference on energy challenges starting this Monday in Columbus. The focus is how public and land-grant universities (such as Ohio State) (thanks to 150 years of the Morrill Act) can solve those challenges. Ohio State is the host and a sponsor. Wendell Berry gave the 2012 Jefferson Lecture at the National Endowment for the Humanities this past Monday. His focus: Sustainability — of farms, “land-communities,” economy. How do we make them sustainable? The answer, he said, is affection. Berry has rocked lots of worlds with his writing. (Inside Higher Ed said Monday’s talk did the same.) This is long but worth it. Read it. Celebrate trees on Ohio State’s Oval this Friday. You’ll see, among others, a very big (B)uckeye. Though actually now a Raven. Though actually ravens are now coming back. It’s an Arbor Day program hosted by our Chadwick Arboretum and Learning Gardens. Light pollution is something rarely thought of. The Ohio State University has a light pollution problem with no university-sanctioned policy in place to address it. Our group believes there should be a policy or guideline in place with the goal of reducing light pollution on campus. Simply put, light pollution is light shining beyond where it is intended to shine. The major examples on campus are the decorative “acorn” style light fixtures found on the Oval and along Woody Hayes drive and West Woodruff Avenue. These lights allow light to shine up and out, and do not direct it down where pedestrians are walking. This misuse of light wastes energy and money. Our group estimates there are as many as 500 of these fixtures on campus, which cost the university an estimated $33,000 per year in electricity costs alone. 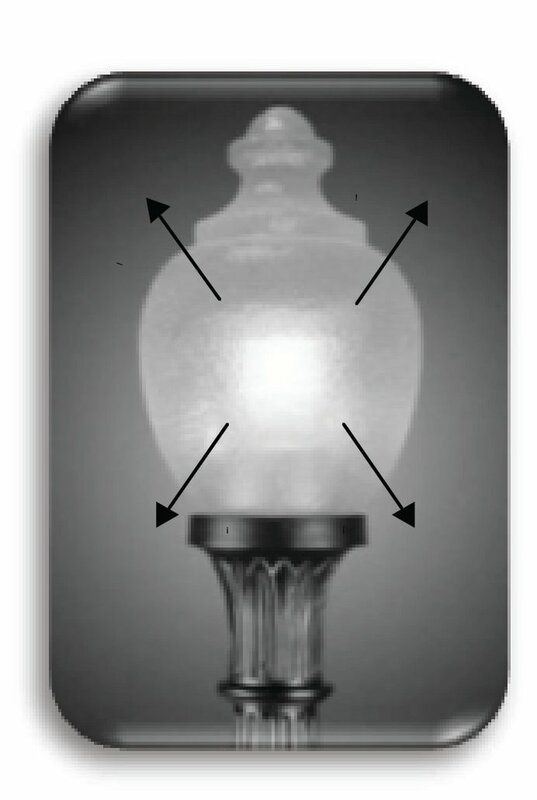 Example of an "acorn" fixture: Notice the light is not directed in any fashion. Light pollution affects us in many ways. One major concern at night is safety, and light pollution can actually make us less safe through too much bad light (i.e., glare). Another concern is the environment. Excessive lights can disrupt reproduction cycles and migration patterns in many species. Light pollution also decreases the body’s ability to produce melatonin, which is linked to sleep disorders and some forms of cancer. Upon signing the American College and University Presidents’ Climate Commitment, OSU President Gordon Gee committed our campus to carbon neutrality. With a university policy in place that directly takes into account light pollution, we can begin to achieve this goal and create a safer and more environmentally friendly campus. This graphic (courtesy of the Canadian Space Agency) shows "very bad" to "best" exterior lighting options. You can recycle your old blue jeans at Scarlet and Gray Ag Day this Friday. They’ll go to make natural insulation. Here’s more about it. And here’s who’s behind it. 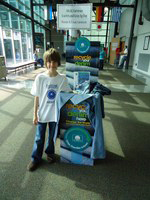 Hint: He’s 11, has collected 9,758 pairs already, and has been honored by the Ohio Environmental Council for his work. Remember, the new Aldo Leopold documentary “Green Fire” has a free showing at 6 p.m. today on the Ohio State campus in Columbus. A Seattle reviewer says the film “ties the concept of a land ethic to each of us—from inner city youth to conservationists in Mexican jungles—leaving its viewers with a sense of ethics and a feeling of connection that still offers hope and invites action.” More. The School of Environment and Natural Resources Alumni Society presents a free Environmental Careers Networking Workshop next week. Focus: Best practices for networking … and finding a job in the environmental sector. A panel discussion features reps from ODNR, Ohio EPA, private environmental firms, and more. Details. Great story on USA Today’s website (video, 5:34) about the problem of lead-poisoned soils in cities, including in Cleveland — under homes and in yards, and mostly unknown to the families who live there. And while he isn’t mentioned in the story, our own Nick Basta, School of Environment and Natural Resources, has developed a way to solve the problem (doing much of his testing in Cleveland) — and to do it for a lot less money than ever before. Check it out (video, 2:15).